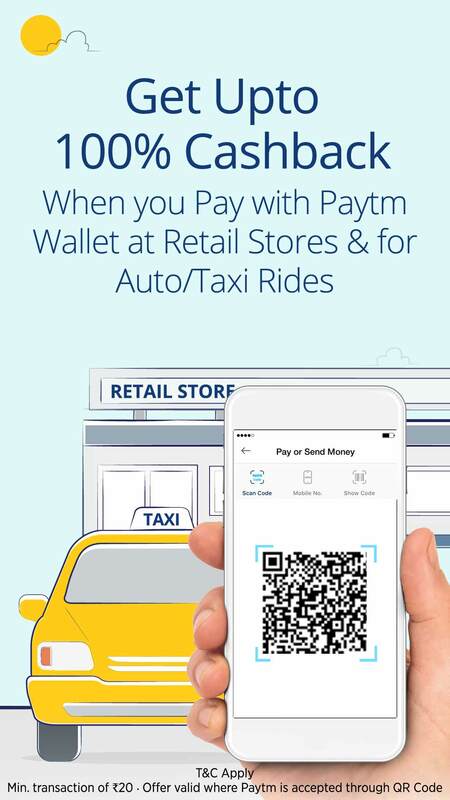 Applicable on 5 transactions per day per store/auto/taxi. 2. Applicable on 5 transactions per day per store/auto/taxi. 5. In cases of fraudulent/suspicious transactions, Paytm solely reserves the right to revoke the cashback offer.